On STEAM Day Friday, 13th October pupils engaged in activities linking Science, Technology, Engineering, the Arts and Maths. To start the day, pupils gathered on the Astro pitch to fill in the shape ‘CP STEAM ’17’. After this, Prep pupils rotated around the School completing activities linking the STEAM subjects to sports. On the Astropitch, they completed tasks such as show jumping and goal scoring and then moved on to endurance tests featuring ‘Hang Tight’ in the adventure playground. In the LRC pupils enjoyed activities such as Lego robotics, Minecraft, Scratch coding and the creation of stop-go videos also using Lego. Juniors then focused on the links between Music, Maths and Physics with a dance routine challenge. They also took part in some games that explored environmental sounds, an energetic hopscotch game and a soccer-themed musical match-up game. While Seniors made a foosball table by measuring the height and distance between rods (players) and the ball. The results were colourful and fun and plenty of matches were played! 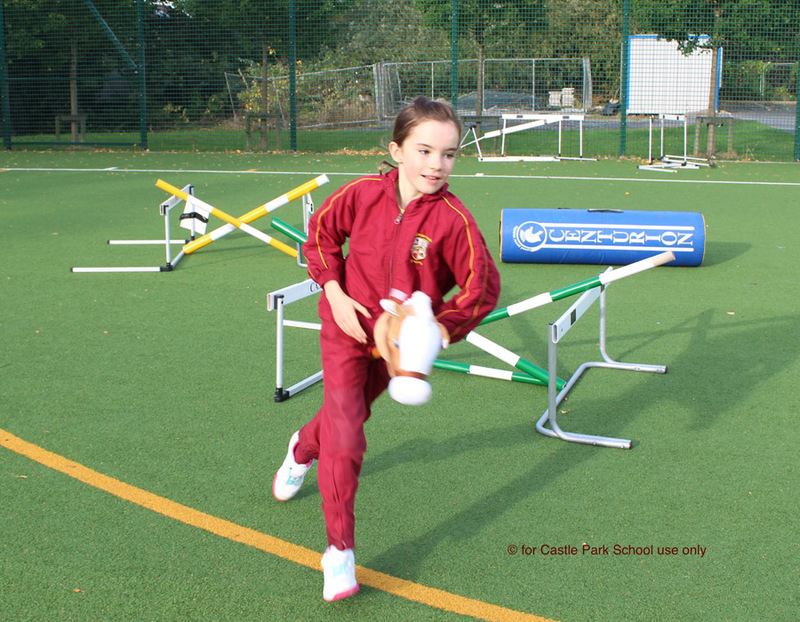 Pre Prep pupils also enjoyed their activities including shape formation games and sports-themed number games. The pupils also went on maths trails around the school, carried out experiments such as measuring, weighing and estimating and worked on sports-themed art. Finally, the day concluded with an Assembly led by Mr Girvan Dempsey who talked to the pupils about the importance of science and technology in his current role as a rugby coach and as a former international player.